GET Protocol to join Korean ‘Klaytn’ blockchain platform as initial service partner. GET Protocol is proud to be one of the Klaytn initial service providers. This partnership is aimed at expanding GET Protocol’s reach and capabilities, as well as maximizing the potential that blockchain technology offers, to assist us in our mission for worldwide honest ticketing. 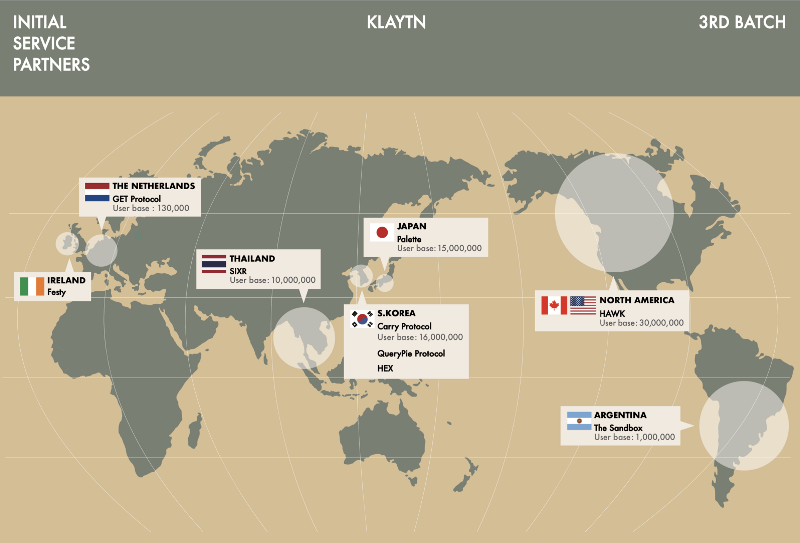 This partnership means that, in the coming months, we will actively be exploring and testing the technical capabilities of Klaytn, with every intention of joining their blockchain when it goes live and the Ground X team delivers on their goal of developing a scalable blockchain platform. In Ground X we have found a like-minded partner, with a comparable vision of achieving mass adoption by utilizing the benefits of blockchain technology. We will be working closely with Ground X over the next few months to ensure technical satisfaction and optimal results for GET Protocol, its users and the GET Protocol community. More details will be released as the partnership develops and a clear timeline arises. GET Protocol has issued over 200.000 blockchain-registered smart tickets, none of which have been duplicated or resold for profits. The first user of the protocol is GUTS Tickets, but any ticketing company that wants to sell honest tickets can easily make use of the protocol. To do so, get in touch here.